Vita Pure Coconut Oil Review: Will This 1 Ingredient Cause Weight Loss? 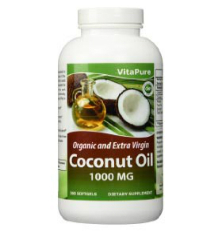 Vita Pure Coconut Oil is a dietary supplement that is composed of organic and extra virgin coconut oil. 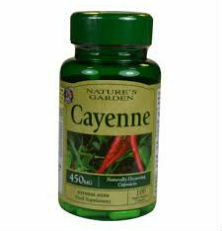 This product has been formulated to help support health and weight management. 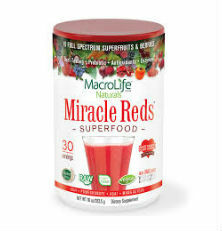 More specifically, it may assist in promoting weight loss, supporting your immune system health, providing you with an immediate energy source, supporting proper functioning of your thyroid gland, and helping to keep your skin youthful and healthy looking. When this Vita Pure Coconut Oil review was written, each serving (3 softgels) contained 3000 mg of organic coconut oil. 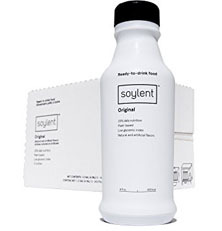 Other ingredients included gelatin and water. That said, there are no sugars, preservatives, starches, milk, lactose, gluten, yeast, wheat, fish, sodium or artificial flavors. The suggested use is to take 3 softgels with a glass of water, every day before a meal. How can coconut oil help with weight loss? Coconut oil is high in medium chain trigycerides. These are fatty acids that are metabolized differently than the longer chain fats and can boost metabolism. They are sent directly to the liver from the digestive tract and are used immediately as energy for the body or turned into ketone bodies. Some studies indicate that coconut oil may help decrease weight size. That being said, significant weight loss has not been witnessed nor did coconut oil appear to improve body mass index (BMI). Other research noted by WebMD found that taking coconut oil three times daily might lower waist size in men after 1-6 weeks of use, but it did not seem to affect weight or BMI, nor did it appear to lower waist size in women. Research regarding coconut oil and its effects on weight loss are extremely limited and more scientific study needs to be conducted before its true effects (if any) can be determined. In short, there is insufficient evidence that proves coconut oil will help with weight loss. As this is the case, there is no guarantee that taking VitaPure Coconut Oil supplements will lead to or aid in loss of fat that will contribute to measurable weight loss. As is the case with any dietary supplement, it is in your best interest to first consult with your healthcare provider before you make it a part of your regular diet for weight loss or for any other health reason. This is particularly important if you are pregnant, nursing, have an existing medical condition or are currently taking medications to treat a health problem.